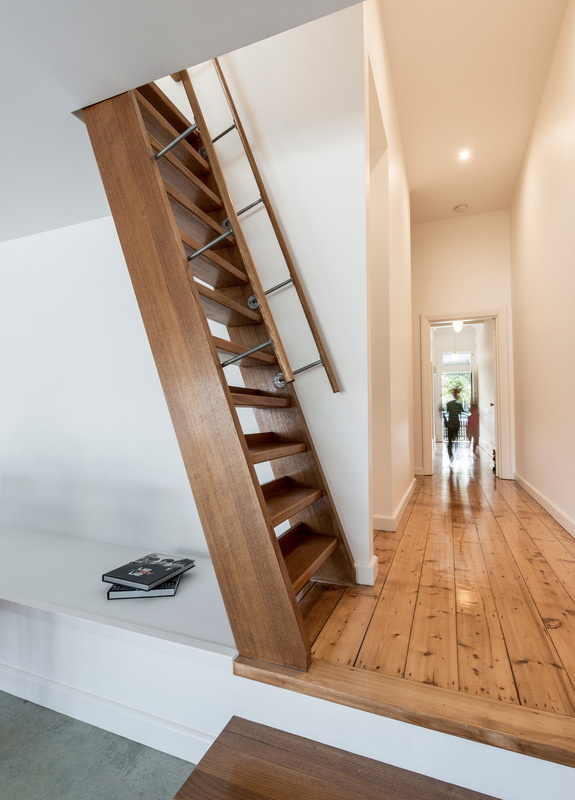 Our clever loft addition to a house in Northcote provides additional space, light & air. 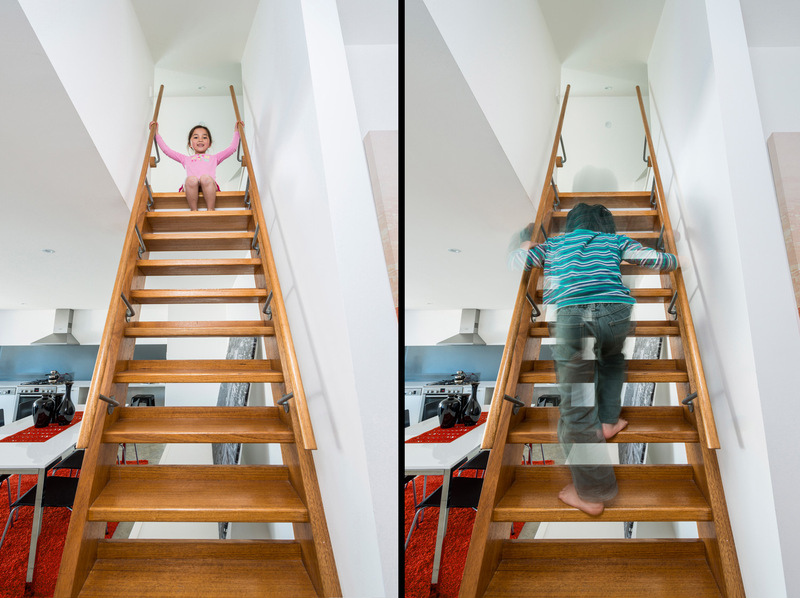 The 60 degree ladder limits the loss of ground floor space. 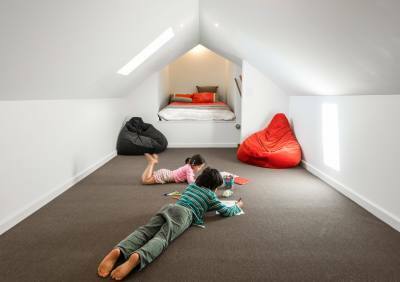 The additional space (including a bed pod suspended over a new bathroom) is contained entirely within the existing envelope.